Execute a Daedra Seducer for Malacath. The Daedra Prince of Lies, Deception, and Hypocrisy. Summon Malacath on the 8th of Frostfall. Head to the dungeon named by Malacath. Find and kill the Daedra Seducer. (Optional) Find a letter on the Seducer's corpse. (Optional) Show the letter to a local ruling Noble. Travel to the town named by Malacath. Meet his worshipper in the palace within the time limit and receive The Volendrung. "Yes, I know someone else who was interested in power. A little panikosa in Oblivion who dreamed of power, who asked me to supply it with the beauty and grace it had always desired. And when I made it beautiful, it fought against me, resisting my will as if I had not made it. Perhaps you are the same. If I made you strong and beautiful, you would respect the gift I gave, would you not?" "I believe you, (player's name). In exchange for the death of the treacherous seducer I once trusted, I will give you the Volendrung, my most prized possession in your world. It will make you most powerful indeed. You will find the loathed creature in (dungeon). Slay her and meet my dear and trusted subject (worshipper's name) in (town). I will tell (him/her) to meet you at the palace there for convenience. I don't think the whole affair should take more than (time limit) days if done as efficiently as it should. Go then into the world and do my bidding, (player's name)." "Witless (player's race), don't you even know enough to lie? Do not waste my time with your pathetic yearnings." (Daedra Seducer's name) is dead. Malacath wishes (victim's name) dead. sure (his/her) death cannot be traced back to us. To complete the quest and receive Volendrung, travel to the town where Malacath's worshipper waits. Enter the Palace and speak to the worshipper for your reward. However, you may also investigate the assassination mentioned in the letter for an additional reputation boost. "(Oath)! (Worshipper's name) was behind (victim's name)'s death? And involved in a daedra plot as well? We may never have solved this murder without your help, (player's name). Your loyalty to the (region ruler's title) will not be forgotten." Deliver the note and you will gain +15 reputation with the current region and +7 with its associated factions. Afterwards, you can still travel to Malacath's worshipper and collect your reward. "So you're (player's name). Malacath described you perfectly. Good work with old (Daedra Seducer's name). She just didn't know how to keep her mouth shut, you know? Anyhow, here's the Volendrung. Not a halfbad smasher. And who knows? You might have to use it on Malacath himself one day. I'm joking ... of course." If you kill the Daedra Seducer and speak to Malacath's worshipper within the time limit, you will gain reputation as seen below. If you fail to complete the quest within the time limit you will lose reputation as seen below. If deliver the letter to the Noble, you will gain reputation as seen below. In smaller regions, Malacath's worshipper and the noble investigating the assassination may be assigned to the same palace, making it very easy to receive both rewards. The quest ends about one in-game hour after you receive the Volendrung from Malacath's worshipper. If you have not done so, you can still deliver the note if you can reach the Noble during this time frame. This quest is unavailable when ChildGuard is on. The reputation gains from delivering the letter may sometimes be credited to another region (and its allies), instead of the one where the quest takes place. "(Worshipper's name) is a noble, rumored to have had a secret romance with a dark lady." "(Worshipper's name) is a noble with a lot of secret allegiances." "(Victim's name)'s death is still a mystery. (Noble's name) is leading the investigation, but so far has no leads." "I'm sure (victim's name) was killed because of (his//her) investigation of corruption in (region)." "(Victim's name) was investigating a plot to overthrow (region ruler's title) (region ruler's name) when (he/she) was "mysteriously" killed. (Noble's name) is trying to find out who was responsible, but (he/she)'ll never get to the bottom of it." "(Victim's name) was found dead in the Palace of (palace town), and all (his/her) notes on (his/her) investigation into high-level treason were stolen. (Noble's name) was sent to track down the killer, but (he/she) has nothing to go on." "(Noble's name) is leading the investigation into (victim's name)'s death, but so far has no leads." "(Noble's name) is investigating (victim's name)'s death at the Palace of (palace town)." "(Noble's name) is trying to find out who was responsible for (victim's name)'s death, but (he/she)'ll never get to the bottom of it." "(Noble's name) was sent to track down (victim's name)'s killer, but has nothing to go on." "The Volendrung is a war hammer of great power, able to sap the strength of its victims." "(Victim's name) was found dead, right in (his/her) palace in (palace town)." "Most daedra seducers have a mission. The one in (dungeon) is just waiting." "I'm still thinking about that woman's laughter I heard coming from the sky." "Don't know where, but a lot of people saw her flying around some nights ago." "I hear that seducer was murdered by her master's agents for falling in love." "Made me nervous -- that seducer just sitting in that hole, waiting for something." 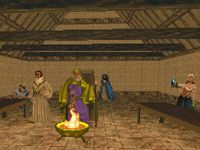 0 (Date): I summoned the Daedra Prince Malacath who has offered the Volendrung in exchange for the death of (Daedra Seducer's name), a daedra seducer formerly affiliated with him. The seducer has sought refuge in a place called (dungeon). If I can kill (Daedra Seducer's name) and get to the Palace of (town) within (time limit) days, a (worshipper's description) named (worshipper's name) will give me the Volendrung. This page was last modified on 13 August 2018, at 18:02.